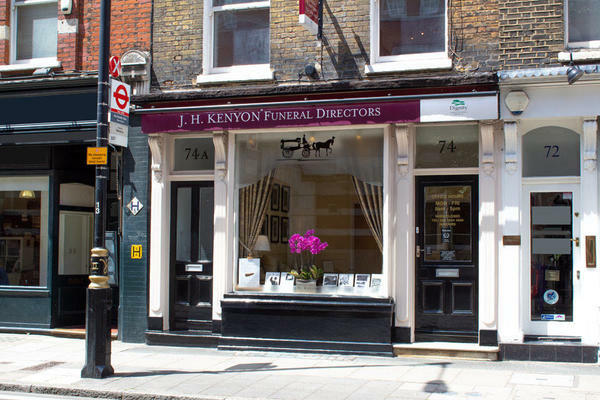 At J H Kenyon Funeral Directors in Westminster, we are a well-known and trusted part of our London community, after supporting families since the 1860s. The knowledge and principles of our founding family have been passed down over the generations. We keep our traditional values at the heart of all we do, while adapting to the needs of the ever-growing and changing community that we love. We feel privileged to have arranged funeral services in some of London's most famous and beautiful locations, including Victoria, Pimlico, Churchill Gardens Estate, Roman Catholic Westminster Cathedral and St Margaret's Westminster Abbey. We have also been entrusted with the funeral arrangements of Sir Winston Churchill, which was the largest attended funeral in the history of Great Britain. Our funeral home has recently been refurbished to provide a comforting environment for you to visit whenever you need to, and we have two tastefully appointed chapels of rest that you can use if you wish to spend time with your loved one before the funeral. Please call us at any time of the day if you need our help. Call us today on 020 7834 4624 to talk through your personal requirements. We are close to Westminster Cathedral, Houses of Parliament and Westminster Abbey. Our staff are available 24 hours a day on 020 7834 4624 if you require our services outside of these hours. and the staff were very helpful. We were satisfied with their service.